Super Savings Item! 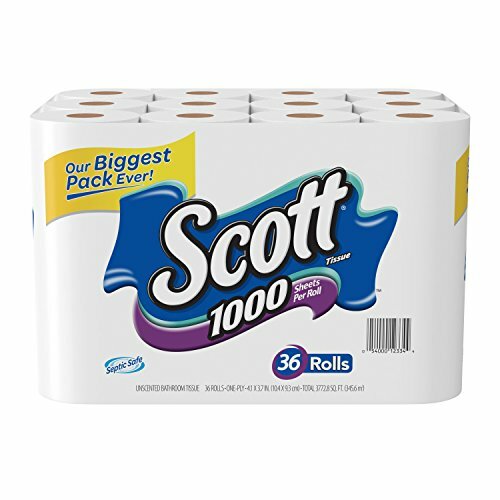 Save 32% on the Scott 1000 Sheets Per Roll Toilet Paper,36 Rolls Bath Tissue by Scott at Enria Industries. MPN: KC-12334-36. Hurry! Limited time offer. Offer valid only while supplies last. Take care of your family with Scott 1000 Bath Tissue, America’s longest lasting roll,† and enjoy fewer roll changes and more value for your home. If you have any questions about this product by Scott, contact us by completing and submitting the form below. If you are looking for a specif part number, please include it with your message.